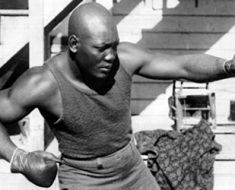 Long before St. Louis became one of the nation’s most dangerous cities, long before the town peaked in the late 1940s, it was host to the third Olympiad games. Some historians refer to them as the Summer Games, but back then there were no wintertime games so these were the Olympics. The Winter Games didn’t show up until 1924. 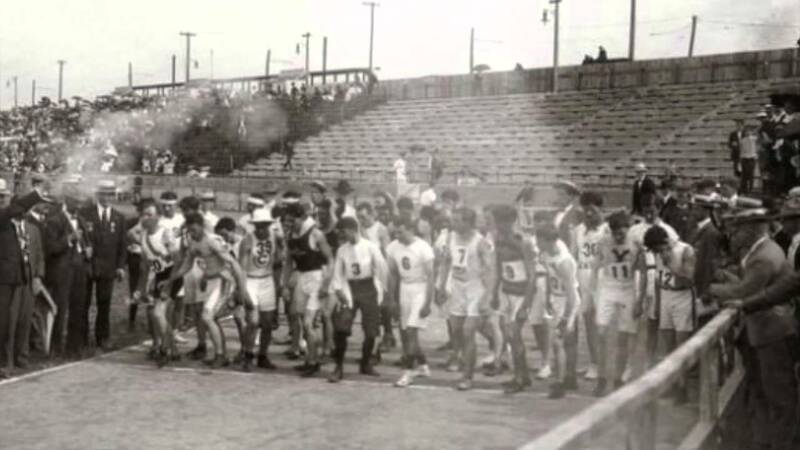 The Olympics in 1904 was only a few years old if one doesn’t count the ancient Greek version. Those ended in 393 C.E. because the Holy Roman Empire felt they were too pagan in nature. It wasn’t until a Frenchman named Pierre de Coubertin reignited the Olympic Games in 1896 that the modern world could enjoy them again. 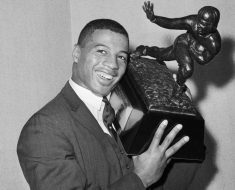 Outside of the broad strokes, the Games as folks know them today are quite different. They’re still international. 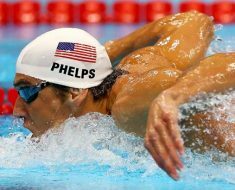 They still pit athletes against other athletes to win medals. They’re still a 16-day message of peaceful competition between nations. But, by the third Olympiad, there were still many wrinkles in the organization. By today’s standards, the Games in St. Louis were a total disaster. 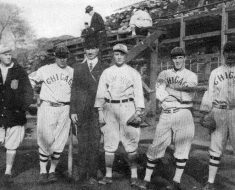 The 1904 Olympiad was to take place in Chicago. The International Olympic Committee (IOC) had considered New York City and Philly but announced Chicago as the winner in the end. Then they learned of the World’s Fair to take place in St. Louis, known as the Louisiana Purchase Exposition. It was no accident. 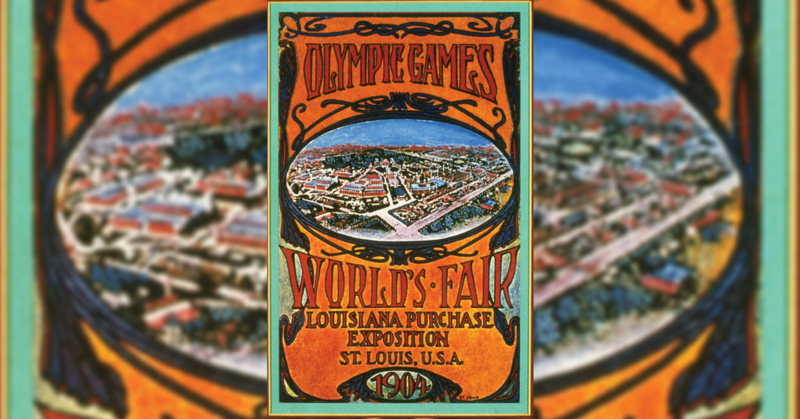 The organizers in St. Louis also planned a 1904 track and field event in combination with the fair. Against the competition from St. Louis, the IOC caved, moving the Olympiad to the Gateway to the West. Coubertin was not a fan of St. Louis so he refused to attend. Forget about athletes from other countries traveling to the United States. Getting to the middle of a country as big as the U.S. before the invention of airplane travel was painfully slow. Only 12 countries showed. Whether the U.S. had a hand in this, they certainly enjoyed the upper hand. There were 630 athletes, 523 of whom were from the U.S. Adding to that, several of the U.S. athletes were foreigners not yet made citizens. As recent as 2012, Norway still lobbied the IOC to change the records. Today’s Games, summer, and winter last a little over two weeks. 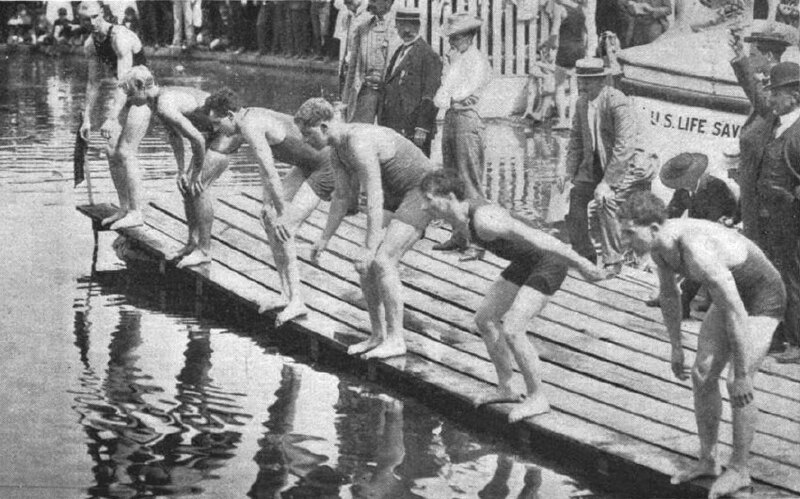 They scheduled the 1904 competitions to stretch over five months, from August 29th to September 3, but they lasted until November 23 based on some clever labeling of events as “Olympic” by organizers. (See played dirty section above). They held the marathon in 90-degree weather, forcing half the runners to bow out and the winner (an American, big surprise) to require serious help across the finish line. That was only the beginning of the weirdness. 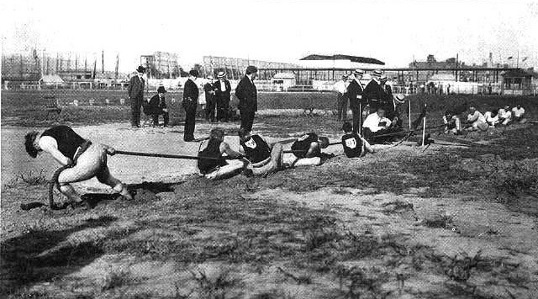 The Games included five-man tug-o-war, as they did until the 1920s. The Americans won in 1904, of course, not one medal but three for tug-o-war. It gets weirder still. Tribal members from the Ainus, Patagonians, Pygmies, Igorot Filipinos and Sioux people participated traditional games as a stunt more than a legitimate competition. The final weirdness, which was not weird at all in 1904, was that there was only one event for women: archery. After the 146 days, the Games concluded in St. Louis. It would take a few more rounds of silliness for the IOC to set standards and manage the events with consistency. That said, this was probably not the proudest moment in U.S competitive history.